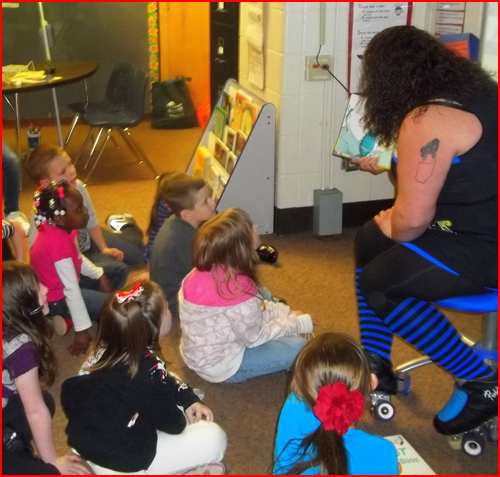 The Black-n-Bluegrass Roller Girls participated in the Latonia Elementary Celebrity Reading Program. Kris P Cream and Shaneeda Spankin visited 3 classes of second graders on March 2nd, 2012. BBRG supports reading in the class room and would like to send a special thanks to the kids, teachers and administrators of Latonia Elementary for letting us be a part of this … our skaters had a great time!